It seems that there is a new option available for miners that want to run more GPUs on a single mining rig. 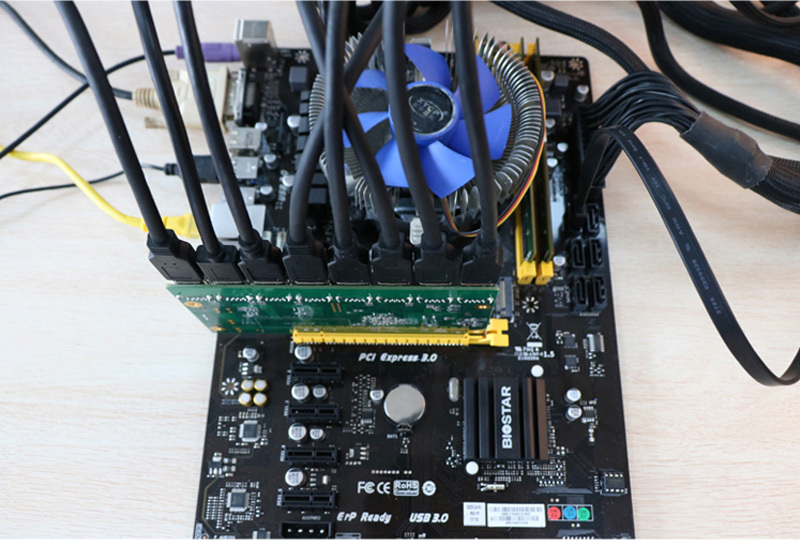 We got a tip that there is a new riser card available on AliExpress claiming to be capable of splitting a single x16 PCI-E slot to 8x USB 3.0 type of connectors for use with the respective x1 PCI-E extenders. In theory this should allow miners to get up to 8 GPUs running from a single x16 PCI-E slot, so practically any motherboard should become miner friendly solution. However there is an important thing that needs to be considered, this expansion board seems to require motherboards that do have the Above 4G Decoding (TLOUD) option available in the BIOS. 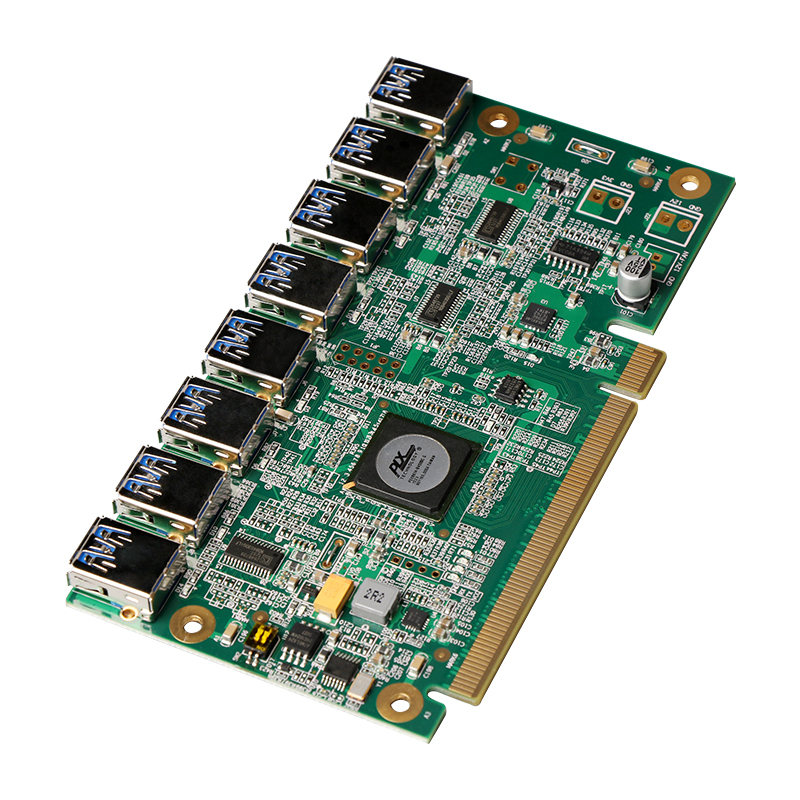 The expansion card is available for a price of around $100-$120 USD from China, so no that cheap actually… it relies on a PLX PCI-E Switch, so no wonder it does not come very cheap. We have not yet tested this solution, but it seems interesting and may offer an alternative solution for people to build mining rigs with more than the most common configuration of 6x GPUs. Now that we do have motherboards that are capable of 12 or even 13 GPUs out of the box however pricing is also going to be a very important factor and at the moment at this price from China this expansion board is actually not that attractive. Not to mention that there could still be some compatibility issues as it may not work on all motherboards as you might expect, especially on a bit older motherboards that do not come with Above 4G Decoding (TLOUD) option.